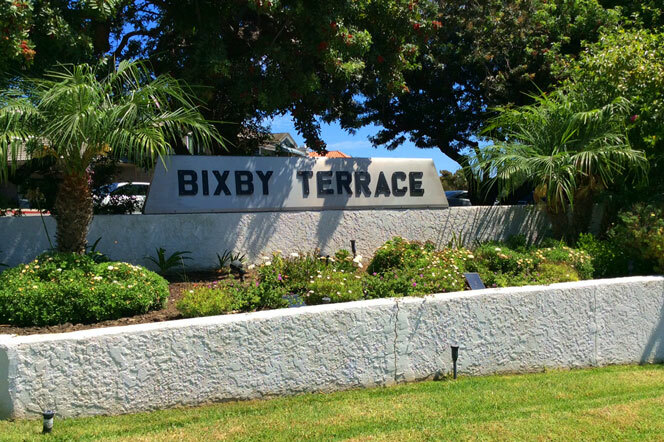 Bixby Riviera homes for sale are located in the Bixby Hill area in Long Beach California. This 24-hour guard-gated community has a wide variety of homes from single level condominiums, townhouses, and patio homes. Bixby Riviera homes for sale are very diverse in layout but you can expect the square footage for condos in this complex to range from 1439 square foot to 1930 square foot with two and three bedroom layouts. Townhouses and patio homes can accommodate much larger living quarters ranging from 1562 square foot to around 3,000 square foot. Because the housing sizes and styles vary, expect HOA fees $346 to $500. Making your home in this resort-like community will cost you anywhere from $450,000 to $480,000 which is a price range most in Southern California can only dream of. Living in Bixby Riviera is perfect for those looking to be removed from the downtown area but also have quick access. Located right near the 405 Freeway and 7th street, you can be downtown in a very short time. Its important to note that Bixby Riviera is also tucked away from the freeway enough that noise is never a problem. 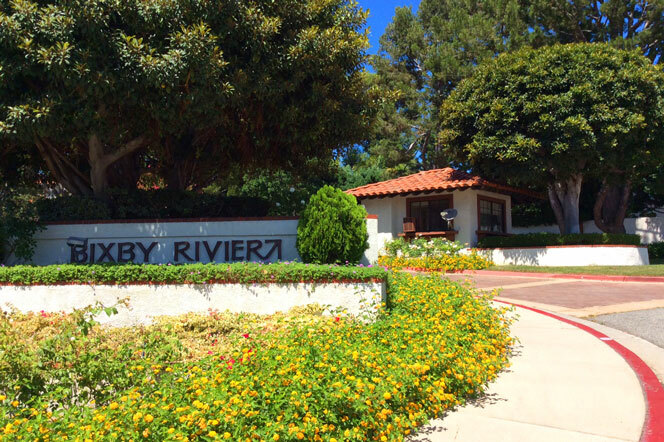 In terms of safety, the extra layer of security provided around the clock by Bixby Riviera’s staff will surely put your mind at ease and keep you separated from the busy city of Long Beach. Bixby Riviera is known for providing its residents with everything they need and more to ensure a luxurious and pampered lifestyle. Inside this community, residents enjoy community pools and spas, full-sized tennis courts, clubhouses for entertaining guests, and state of the art recreational centers with gyms. Bixby Riviera is also known for having some of the most beautiful landscaping in Long Beach making walks and bike rides always a pleasure. Bixby Riviera homes for sale are well maintained and have amenities ranging from beautiful hardwood floors, high ceilings, huge walk-in closets, laundry units, and soaring ceilings. The condos for sale in Bixby Riviera all have huge balconies for lounging and entertaining guests. These balconies are usually separated by a wall of sliding glass allowing for beautiful green views of the community. All homes in the Bixby Rivera community are unique. Directly across from the Bixby Riviera is the Bixby Terrace community which features single family homes that are not located in a gated community. Please contact us with any questions as well know the Long Beach area very well.